The Climats of the Bourgogne wine region are the result of 2,000 years of patient construction. The personality of the winemaker and the very different terroirs on which they work have led to the creation of unique wines. The Japanese art of calligraphy was born some 3,000 years ago. It has been passed down ever since, reflecting the artist’s sensibility expressed on the paper. The work of the calligrapher and that of the winemaker are very similar. Both are the expression of a unique skill. During a gala event in Tokyo on 6 November, the Climats and Japanese calligraphy came together in a celebration of history and philosophy. Picture: left to right and top to bottom: Les Corvées, Clos du Roi, Les Charrières, Les Terres blanches, Les Chevrières, Genévrières, Le Rognet, and Les Clos. 1) The Climat “Les Corvées” (Ladoix Premier Cru) is represented by a logogram which is pronounced shikarubeku. In this logogram, one can find the notions of history, serfdom, meeting, and passing time. 2) The Climat “Clos du Roi” (Mercurey Premier Cru) is represented by a logogram which is pronounced yutaka. Why? These vines used to belong to the nobility, so the logogram conveys the idea of luxury, but also richness in terms of tasting. 3) The Climat “Les Charrières” (Morey-Saint-Denis Premier Cru) is represented by a logogram which is pronounced moto. This logogram symbolizes the path as a means of transport, and also of transmission. 4) The Climat “Les Terres blanches” (Nuits-Saint-Georges Premier Cru) is represented by a logogram which is pronounced miyabi. The logogram highlights the idea that white represents refinement and elegance, characteristics also found in the wine. 5) The Climat “Les Chevrières” (Pouilly-Fuissé) is represented by a logogram which is pronounced uyamai. The notion conveyed here is that of an environment propitious for winegrowing, with relief suitable for goats. 6) The Climat “Genévrières” (Meursault Premier Cru) is depicted by a logogram which is pronounced ishizue. The logogram symbolizes the lifecycle of juniper (genévrier) and the vine. 7) The Climat “Le Rognet” (Corton Grand Cru) is represented by a logogram which is pronounced shin. This logogram expresses the values of authenticity, simplicity, and truth. 8) The Climat “Les Clos” (Chablis Grand Cru) is represented by a logogram which is pronounced uyamai. This logogram underlines respect for tradition, with particular attention accorded to the vine. The event organized to embrace these two cultures underlines their mutual appreciation: Japan was the third-biggest market by both volume and revenue for Bourgogne wines in 2016, when Bourgogne wines accounted for 17% of the volume of French AOC wines exported to Japan, and 26% of the revenue. 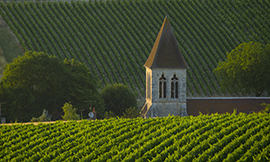 Discover the two new Bourgogne appellations! The Bourgogne region now has two new appellations: Vézelay and Bourgogne Côte d’Or (Journal Officiel of 9 November 2017). That brings the number of Bourgogne appellations to 84*. Producers of the Régionale Bourgogne appellation, located on the Côte de Beaune and Côte de Nuits, have obtained the right to add the additional geographic denomination “Côte d’Or” to their labels. Starting from the 2017 vintage, this allows them to produce wine under the name “Bourgogne Côte d’Or”. This denomination is reserved for still red and white wines, produced respectively from the Pinot Noir and Chardonnay varietals, in the 40 villages within the delimited area. This stretches for some 65km from Dijon south to Les Maranges. 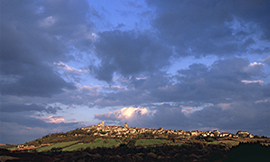 The Village appellation of “Vézelay” is reserved for still white wines produced from the Chardonnay varietal in the four villages of Vézelay, Asquins, Saint-Père, and Tharoiseau. The area currently under vine is some 70 hectares, but the delimited zone covers 256 hectares, which allows good prospects for development in years to come. * For many years, the Bourgogne winegrowing region has claimed to have around 100 AOCs. However, there are in fact 84 AOCs. The rest made up by the Dénominations Géographiques Complémentaires (DGCs) within the Bourgogne AOC. On the face of it a small market, Australia has long been a valuable outlet for exporters of Bourgogne wines. Australia was the world’s fifth largest wine producer in 2016, rising two places in this ranking since 2013. It was also the second-biggest consumer of wine in the Asia-Pacific region after China, with 5.4 million hectoliters in 2016, equivalent to 720 million 75cl-bottles (Source: OIV). In 2008, in terms of volume, it was just behind China and ahead of Hong Kong (544,900 bottles). As a wine-producing country, it is open to premium appellations, and was therefore ranked ahead of the other two territories in terms of revenue (7.15 million euros). 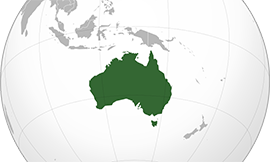 Over the first eight months of 2017 Australia was the leader among these three markets by volume for the Crémant de Bourgogne, Chablis, Petit Chablis, and white Régionale Mâcon appellations. Those in the wine trade in this wine-producing country also appreciate Bourgogne wines in the premium and super premium segments. • Exports: 880,870 bottles (up 19% on first eight months of 2016), for €11 million (up 31.4%), of which by volume 56% was white wine; 27% red; and 17% Crémant de Bourgogne. Over the first eight months of 2017, Bourgogne wines accounted for 15% of the volume of still French AOC wines exported to Australia, and 36% of the revenue from this segment. Scheduled to welcome the Saint-Vincent Tournante de Bourgogne wine festival in February 2019, the municipality of Vézelay played host in November to the 27th Concours des Vins du Grand Auxerrois. Forty-four producers and estates submitted no fewer than 145 wines for the consideration of the 36 jury members. Only 44 won awards, with two gold medals, 18 silver, and 24 bronze. The tasters included keen wine-lovers, journalists, sommeliers, enologists, wine brokers, and restaurateurs. Discover some treasures of the Bourgogne wine region, and understand the notion of Climats. VinoVision 2018, the international cool-climate wine exhibition, takes place in Paris from 12 to 14 February 2018. 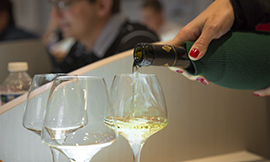 The second edition of this trade event features two Masterclasses dedicated to the Bourgogne wine region. Both will be hosted by Fabrice Sommier, head sommelier of Georges Blanc and Meilleur Ouvrier de France 2007. Let yourself be surprised during this tasting workshop taking a fresh look at some intriguing Bourgogne wines with great potential. Like a treasure hunt, this is a unique opportunity to gain an insight into some lesser-known Bourgogne wines. The Climats make up the DNA of Bourgogne wines. This exceptional and astonishing patchwork of land producing singularly expressive varietal wines brings out the best of the natural environment – perhaps more than anywhere else. This alchemy between nature and cultivation, this outstanding universal value that is now on the UNESCO World Heritage List, is explored during this top-flight Masterclass. Reservations will be open soon for these two Masterclasses on the site www.vinovisionparis.com. If you haven’t already done so, you can register now for free at the trade show. Are you looking for the perfect recipe and wine tips for a special occasion over the festive period? As Christmas approaches, many begin to fret about the right food and wine combinations. But relax, and turn to the recipe blog, where every month, a new recipe is offered along with the recommended Chablis wine to go with it. The blog is available in five languages: French, English, German, Japanese, and Chinese. Different categories of recipe are offered, such as ideas for a simple or sophisticated aperitif. Our favorite? 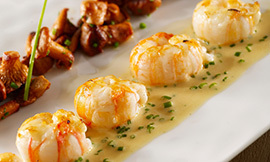 Langoustines with Dordogne caviar and a Chablis Premier Cru Fourchaume. You can find the recipe here. Each recipe comes with its wine recommendation. So happy holidays, and happy tasting! 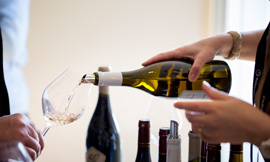 From 8 to 12 January, the British capital will celebrate the wines of Bourgogne during the now famous “Bourgogne Week”. Numerous British importers will be presenting their selection of Bourgogne 2016 wines in London, in the presence of many of the winemakers. So make sure you’re there to sample this surprising vintage! The BIVB is supporting the various events organized through the week via a dedicated promotional campaign. Strategic partnerships with some trade press and a communication plan on social media will all help to spread the word. In 2017, the media campaign generated more than three million hits on social media. 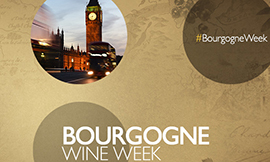 Be a part of this community and keep us in the loop by using the hashtag #BourgogneWeek. Follow the Twitter account of the BIVB @Bourgognewines to keep up-to-date with events in real-time. You can also follow the adventures of “Bourgogne Holmes” as he tries to track down some lesser-known appellations and other secrets about Bourgogne wines. The dates for the upcoming Bourgogne Week Hong Kong have just been announced: 26 February to 2 March 2017. This promotion offers importers, specialist wine stores, restaurants, wine bars, online wine sites and others the chance to organize events such as tastings, winemakers’ dinner, in-store and online promotions, all with Bourgogne wines in the spotlight. It is a unique opportunity to discover the diversity of Bourgogne wines. A major promotional campaign orchestrated by the BIVB will give visibility to each event in the press and on social media. Whether you want to be an organizer or participant, put the dates in your diary now for this week dedicated to Bourgogne wines. Some gift ideas for the one you love, or to treat yourself! The perfect gift for a wine-lover? A convivial and sensorial moment! The Ecole des Vins de Bourgogne is offering a range of gifts that are perfect for wine-lovers: Two- or three-hour training sessions to gain an understanding of the universe of Bourgogne wines, gift vouchers for discovery days, personalized coaching to take your knowledge to the next level, visits through the vineyards, and even training leading to a qualification. New this year: The sensorial day! This is a day dedicated to awakening the senses to the typical aromas of Pinot Noir and Chardonnay. And for those seeking a unique experience, book your place on the most exclusive training program of the year: “The Ultimate Bourgogne wine tasting: The 33 Grand Crus”. With just one session per year, the Ecole des Vins de Bourgogne offers you the opportunity to discover all 33 of these prized appellations. Three days devoted to tasting the most coveted Bourgogne wines for an unmissable sensorial experience. Dates: Three days from 14 to 16 June 2018 (introductory evening 13 June). Location: Tasting rooms at the Ecole des Vins de Bourgogne in Beaune, plus tastings and visits off-site. This training is provided in English. Reservations required, limited places. Looking for a personalized gift? Gift vouchers are available starting from €39 (valid for one year). HONG KONG – 2 March: Chablis White Party event for media, importers, distributors, retailers, wine stores, sommeliers, F&B managers, etc.